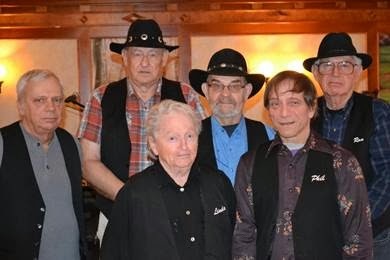 On Sunday, January 26, 2014 from 1 pm to 5 pm, a longtime favorite area band, Linda Lee and The Fox Creek Band will be adding their country flair to the Caverns Palace. Linda Lee and The Fox Creek Band has members that have been playing in bands for over 70 years, so when they say they are a seasoned band, they truly are. The music that they play is Classic Country to get the feet moving, but they also play round an square dance music as well. Offering an opportunity for the young and young at heart to have a wonderful Sunday afternoon. There will be a $7.00 cover charge. The Caverns Palace is located at 2930 State Route 7, Howes Cave, NY. This newly renovated restaurant is the former Borealis Restaurant that offers a complete menu of light fare as well as a full dinner menu. The outside of the restaurant has been given quite a facelift adding a very definite western flair to the building. While the inside offer quite a feast for the eyes. 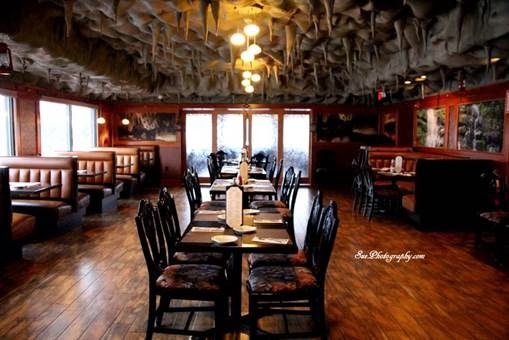 The restaurant named appropriately The Caverns Palace offers stalacitites hanging from the ceiling, rock walls and many murals for patrons to check out. Linda Lee and The Fox Creek Band will be playing the last Sunday, January through July from 1 pm to 5 pm. We hope that you will come on out and join in on this country fun!!! Not worth risking the money again. Was there last night, has a Sausage burger,, very good.